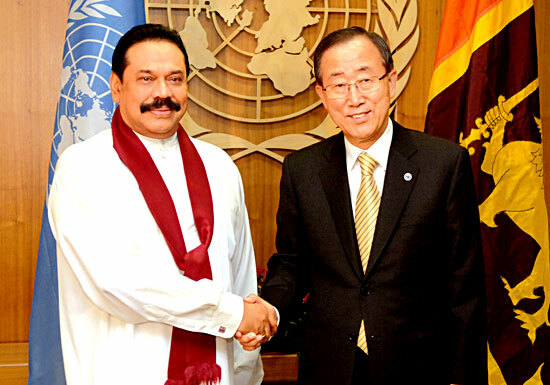 President Mahinda Rajapaksa and UN Secretary General Ban Ki Moon shake hands in New York on Friday on the sidelines of the 63rd UN General Assembly sessions. Like to launch water boost rockets? Kilinochchi is now a ‘ghost town’ with the LTTE withdrawing all its offices, business establishments, hotels and media centres following the rapid advancement of the security forces towards the region from various directions in the Wanni, informed sources said. The Government has plans to reintroduce the First Past the Post election system while maintaining the existing Proportional Representative System (PR). A major catastrophe at the Bandaranaike International Airport (BIA) and the Air Force Base at Katunayake was averted following the biggest haul of C4 type explosives detected in a house at Negombo, police sources told the Sunday Observer.